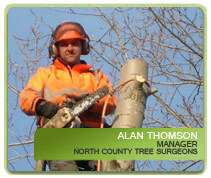 WHO ARE NORTH COUNTY TREE SURGEONS? 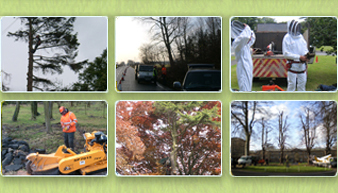 North County Tree Surgeons are a friendly, professional company with fully trained, insured and experienced consultants, climbers, machine operatives and ground staff. We pride ourselves on our industry knowledge and aim to deliver a top quality service to fit your requirements, from small domestic jobs to large scale commercial work, at a competative price. Established in 1986 we are a family business committed to providing our clients with a complete range of professional tree care services. 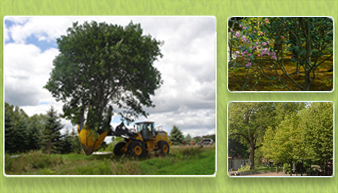 Our fully trained arboriculturalists pride themselves on ensuring that your trees, hedges and shrubs remain healthy and beautiful for your pleasure and enjoyment. We aim to provide our clients with educated advice on their trees and deliver a service which benefits both the client and their environment. Trees and plants are important, providing visual impact, screening, reducing noise and air pollution and we strive to ensure their preservation, safety and longevity. We cover a wide range of areas in the North of England, all of which are shown on the map. We will also accept jobs in Cumbria. View Photo Diaries of our Latest Work here, simply click a thumbnail above to enlarge or here to be taken to the gallery. We have recently purchased a tree spade for use in moving and planting semi-mature tree specimens - contact us for further details.